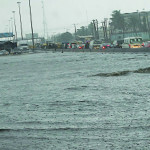 ENUGU, NIGERIA (AFRICAN EXAMINER) – The National Emergency Management Agency (NEMA) has alerted residents of South- East geo political zone of Nigeria of possible flood disaster in some parts of the region as the rain season begins. It therefore advised them not to hesitate in alerting relevant agencies of such natural disaster when there is need for necessary action. NEMA South East zonal Coordinator of Mr. Walson Ibarakumo Brandon, gave the warning while speaking with newsmen on Monday in his office, Enugu. He disclosed that 14 local government areas across Enugu, Ebonyi and Anambra States are most prone to flood disaster and advised on the need for clearance of drainages and water ways to reduce the impact or eliminate the disaster. 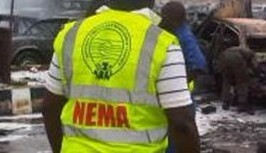 According to him, NEMA, met recently with sister agencies including Nigeria Metrological Services Agency (NIMET) and the Nigeria Hydrological Services Agency, among other establishments to map out strategies on how to mitigate the disaster and embark on massive public enlightenment campaigns. Brando said: “From the recent annual flood outlook, in Enugu state we have Enugu South LGA, Enugu East LGA and then Oji River. These are the three LGAs that are characterized as highly probable high risk areas under the annual flood outlook released by Nigeria Metrological Services Agency, which is a Federal agency. “In Ebonyi, we have Afikpo North, Ikwo, Ezza South, Ohaukwu and Ebonyi LGAs. In Anambra we have Orumba North, Awka South, Anaocha, Oyi, Dunukofia and Njikoka LGAs. So, when we carry out our sensitization, we are going to focus on those highlighted areas. “I will implore that those communities should not fall back; they should not just wait for government; local, state or Federal government; they should be on the alert and contact the appropriate agencies whenever incidences that are beyond their coping capability come up,” he counseled. The zonal Coordinator added that aside from natural disasters like flooding, fire, landslide and building collapses, the agency has been facing issues of internally displaced persons arising from communal crises as well and Fulani herdsmen clashes with farmers. He said “really at Ebonyi we receive reports of communal crises in a weekly basis. Just last week we carried out assessment in four communities; they were just sacking themselves, fighting each other based on land matters, with other states as well, so we were told. “So in Ebonyi that is what we contend with. 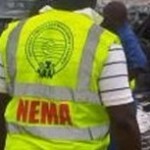 In Anambra we have issues of fire; Anambra and Enugu, devastating fire. Recently there was this fire incidence at Maryland area, at the Timber Market. We went and conducted on the spot assessment, the report of which we have forwarded to our National headquarters, awaiting their response. “Then Enugu, because of the topography, when rain falls, critical infrastructure, the roads are always affected and building collapse too. So these are the issues we contend with, and right now we are preparing a plan to be sent to our headquarters how we will deal with these issues. “In terms of preparedness like I mentioned earlier, NEMA cannot do it alone, so we are trying to reach out to the local governments, because they are closer to the communities, to sensitize them on (IDP) camp management. When these things happen and people are displaced, the local governments they are the first responders. “So most times they don’t know what to do, so what we are trying to do is to train them on how to first of all handle, if it is beyond them they can now reach out to states and Federal government” he stated. 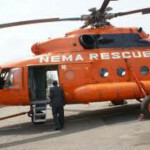 The NEMA zonal director noted that activities of the agency were affected by dwindling funding as a result of recent economic recession but expressed the hope that things are beginning to look up again.